February was a particularly bad month for G4S. At Manus Island, an Australian detention centre for people seeking asylum, the G4S guards were accused of allowing the murder of one detainee, Reza Barati, and of injuring dozens more. The incident forced even the Australian Government, notorious for its brutal treatment of asylum seekers, to investigate events there. In the UK, the family of Jimmy Mubenga demanded that the G4S guards charged with his “unlawful killing” urged the Crown Prosecution Service to press charges against them. Jimmy Mubenga’s 19 year old son Roland said: “Until the men stand trial for their action we will remain desolate. Our lives are on hold while we wait your decision.” Jimmy Mubenga was “unlawfully killed” in October 2010 while being restrained by G4S guards. Soon after that, G4S lost the contract to deport asylum seekers but won others to detain, transport and, later, house them. Meanwhile, after a campaign by asylum tenants and asylum rights groups including SYMAAG, G4S (along with Serco and Clearel) were summoned to appear before the National Audit Office (NAO) to answer questions about their use of £620 million of public money to provide squalid and uninhabitable asylum housing. The NAO found that G4S (and Serco) were failing to meet “key performance targets” and placing people in “substandard” housing. In practice in Yorkshire this means that many asylum tenants are unable to move to properties because of damp, lack of basic amenities and furnishings. They are being told to stay in dangerously overcrowded Initial Accommodation at locations like the misnamed Angel Lodge in Wakefield. Called back to the Home Affairs Committee in June 2013 Small, a former Rentokil man, tried to explain away why G4S had piled asylum seekers into slum properties riddled with cockroaches and allowed subcontractors to harass and bully the tenants. Lately, on Wednesday 5 February, Small was summoned to Westminster again. The Public Accounts Committee, whose job is to see that taxpayers get value for money, wanted to interrogate him. They’d been considering a reportfrom the National Audit Office (NAO) on asylum housing and the contracts held by G4S and Serco. 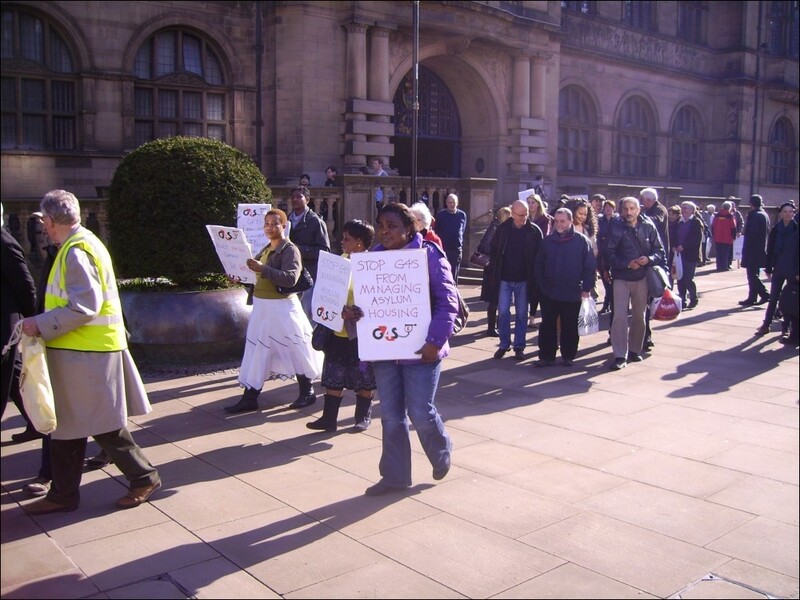 Campaigners and asylum seeker tenants in Yorkshire and the North East of England had provided the National Audit Office with a mountain of evidence of incompetence, corruption and delusion since 2012 when the Home Office privatised asylum public housing. An attractive market: publicly funded social housing, compliant tenants with no legal tenancy rights, offered ‘no choice’ housing. It promised £1.8 billion of taxpayers’ money to outsourcing companies G4S, Serco and Reliance, their partners and subcontractors. All three lead companies had a record of abuses in the brutal immigration detention and deportation ‘asylum markets’ and no experience of social housing management. Public Accounts Committee chair, Labour’s Margaret Hodge, was scathing about G4S and its lack of experience in social housing for vulnerable people. Stephen Small contradicted her, claiming G4S had relevant experience in the “welfare and care of people in all sorts of situations-from prisons to childrens’ homes to immigration removal centres”. 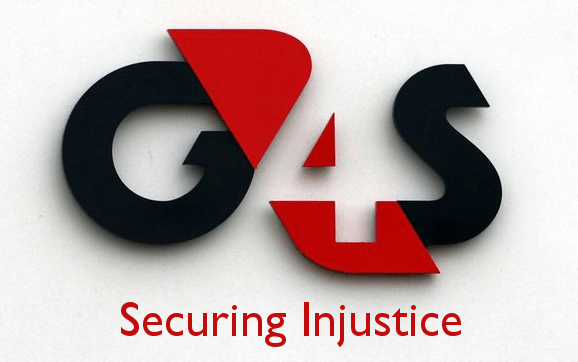 G4S has run privatised UK children’s prisons, or secure training centres, since 1998. Fifteen-year-old Gareth Myatt died in April 2004 under ‘restraint’ by G4S staff at Rainsbrook Secure Training Centre near Rugby. In a High Court judgment on 11 January 2012, Mr Justice Foskett found it highly likely that large numbers of children were unlawfully restrained in secure training centres run by G4S (and Serco) between 1998 and 2008. G4S Children’s Services had eight small childrens homes in 2013. Last summer OurKingdom exposed the company’s “concealment and trickery” in applying for planning permissions for childrens’ homes under executives’ personal identities, withholding the G4S name. The company’s Children’s Services Manager for Safety Health & Environment in 2013 had been involved in the lethal restraint of Gareth Myatt in 2004. Small drew to MPs’ attention G4S’s management of prisons, but he neglected to mention that inefficiency had in 2011 cost them the contract for Wolds Prison. Nor did he mention the recent violent disturbance at G4S-run Oakwood Prison, in Birmingham, which prison officers described as a “full scale riot”. (The line agreed by G4S and the governent: “concerted indiscipline”). Other corporate highlights that Small chose not mention: G4S involvement in Israeli prisons for Palestinian children, and their removal from management of South Africa’s Mangaung prison amidst accusations of torture. Under questioning from Austin Mitchell MP, Permanent Secretary Mark Sedwill admitted that the housing contracts were “driven” by Home Office cuts in 2012. “That is the primary motive of any commercial arrangement. The aim was to save money while also maintaining a service that was adequate for the asylum seeker,” Sedwill said. He claimed that the previous contracts, mainly run by local authorities, would have been much more expensive— £826 million compared with the outsourcers’ £687 million. He claimed (contrary to the evidence in the NAO Report) that £27 million had already been“saved” in the first eighteen months. 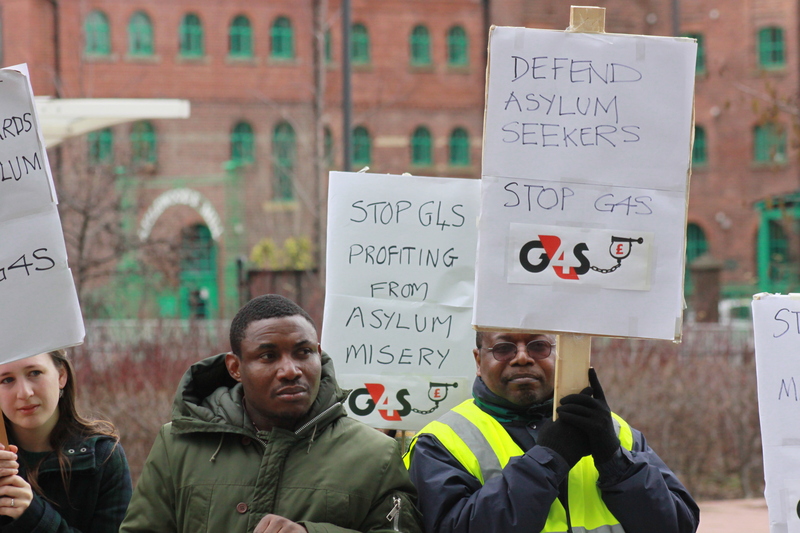 G4S and Small were confronted by questions from members quoting asylum tenants themselves. Ian Swales, the Liberal Democrat MP for Redcar, challenged G4S and its definition of‘acceptable accommodation’. He spoke of one asylum seeker who stayed in the G4S/Jomast Stockton hostel with her child and then, after getting her right to remain in the UK, went to a homeless hostel. She “could hardly believe how wonderful it was, it was like arriving in heaven,” Swales said. The MPs were clearly shocked by G4S and Serco’s failure to inspect properties before allocation to asylum seekers. The result was what Labour’s Austin Mitchell described as“unacceptable conditions, some of which were frankly appalling”. Not one MP on the committee asked Home Office witnesses to explain why they were happy to hand asylum housing contracts to G4S, known to asylum seekers as the company that killed Jimmy Mubenga. Serco’s “immigration market” includes the notorious Yarl’s Wood women’s detention and removal centre where in October 2013 two Serco staff were sacked for sexual abuse of women inmates. The Public Accounts session was held in the shadow of Serious Fraud Office criminal investigations into both companies’ overcharging and fraud on electronic tagging contracts. John Fernau, Commercial Director at the Home Office, said he was “shaken by that news (of the tagging scandal) and was worried that we might find ourselves in the same situation”. He assured the committee that in the housing contracts there “were no improprieties”. Mark Sedwill for the Home Office maintained that the new housing contract was meant to raise standards to make them “adequate for asylum seeker housing”and house the “genuinely vulnerable”, but also to deter the bogus vulnerable. G4S and Serco are making profits from the UK’s asylum ‘support’ regime, which immigration barrister Frances Webber has described as a “system of institutionalised inhumanity” designed not to support those seeking asylum in the UK, but to deter others from coming to the UK. In the UK, where the state has outsourced its monopoly of violence to private corporations like G4S and Serco, the media, pollsters and politicians createan illusion that common sense values and principles have shifted to a view that asylum seekers are almost always “bogus” “failed” or “illegals”. Racism and intolerance filters down to the front line management and staff of the Home Office and the staffs of the privatising companies. After the Inquest on Jimmy Mubenga the coroner decided to bring attention to “endemic racism” and the “pervasive racism within G4S”. The Home Office wants a service“adequate” for asylum seekers in the slum private rented sector, and it wants to deter the bogus vulnerable. Labour, who consistently pressed for privatisation of the housing contracts, and Coalition ministers in 2012, knew exactly what they were doing in turning over 20,000 asylum seekers to the mercies of G4S and Serco and the UK private sector housing market. They had a previous National Audit Office report (from 2005) to show what could happen – fraud, corruption, and disgusting accommodation for thousands of vulnerable asylum seekers simply waiting for the outcomes of claims for their rights to asylum. Coalition ministers continued Labour’s policy of cutting back harder on asylum support than for other welfare claimants. The privatisation contracts should also be seen in the context of austerity cuts and deficit reduction; tantamount to a declaration of war on the poorest and most vulnerable. In August 2012 Capita bought Reliance Security and its asylum housing contract interests for £20 million. 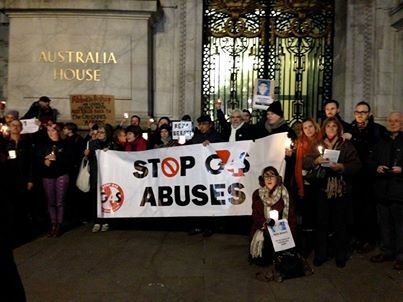 From 1 April 2014 Capita will take over the discredited tagging contracts from G4S and Serco. Of the £4.2 billion of government contracts out to tender, in 2013/14 about 60 per cent are funded by taxpayers. The voices from asylum seeker tenants surfaced occasionally in the Public Accounts Committee last week. The committee even persuaded Home Office officials to agree that it was a mistake to give the contracts to huge companies with no experience of housing. They conceded that in future it would probably be a good idea to “disaggregate” future provision to small companies and housing associations. That’s of little comfort to people now living in asylum housing. The contracts have more than five years to run. The disrespect and humiliations go on and on.